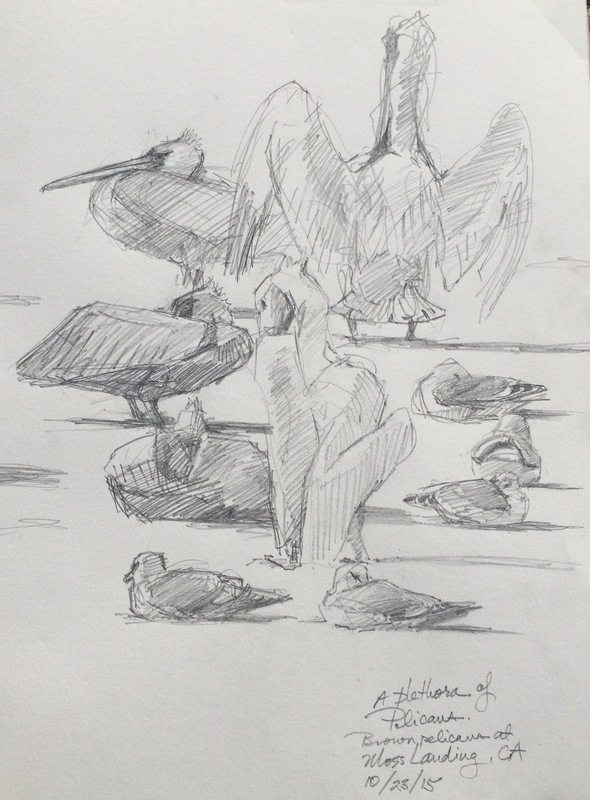 On the jetty at Moss Landing, drawing brown pelicans and California gulls, hearing sea lions bark and inhaling aromatic sea salt mixed with giant kelp. Almost edible. 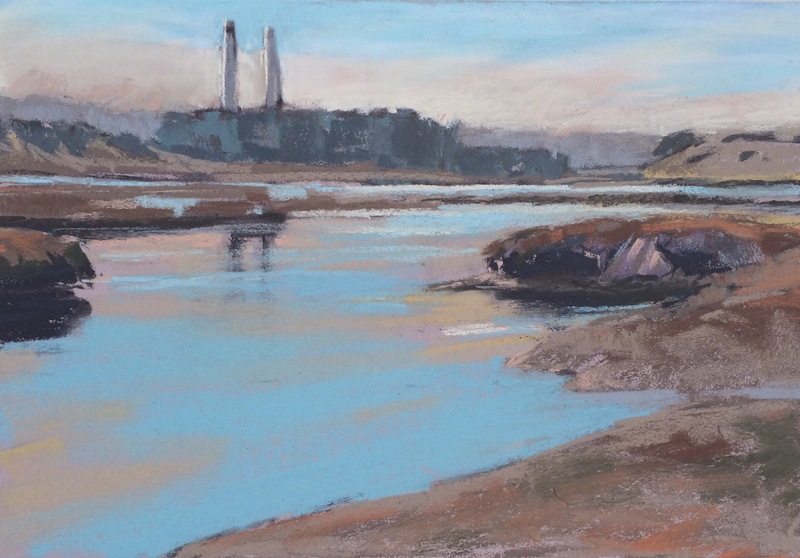 Harbor seals snore on the beach and sea otters lay on their backs in the swell, their front paws pressed together. The fog is coming in, and the tide is going out. Wonderful. Feel like I’m there with you. Sea Otters LIE on their backs, they do not LAY on their backs.